Brady, Goodell Don't Reach Deal; Judge Will Rule On 'Deflategate' : The Two-Way Also, Jane Rosenberg, the sketch artist whose vision of Brady at his first appearance in federal court sparked a flood of commentary, issued a new sketch of the quarterback. Courtroom artist Jane Rosenberg presents a more pleasant sketch of New England Patriots quarterback Tom Brad. An earlier sketch of Brady by Rosenberg caused a sensation on Twitter and beyond. After a last-ditch effort to reach a settlement in the legal dispute over the NFL's four-game suspension of quarterback Tom Brady, a federal judge says he'll issue his ruling on Brady's appeal on either Tuesday or Wednesday. On Monday morning, Brady and NFL Commissioner Roger Goodell attended discussions about a possible settlement. But after it became clear that the two sides don't intend to give ground, District Judge Richard Berman held a brief hearing to announce that he'll rule on the case early this week. 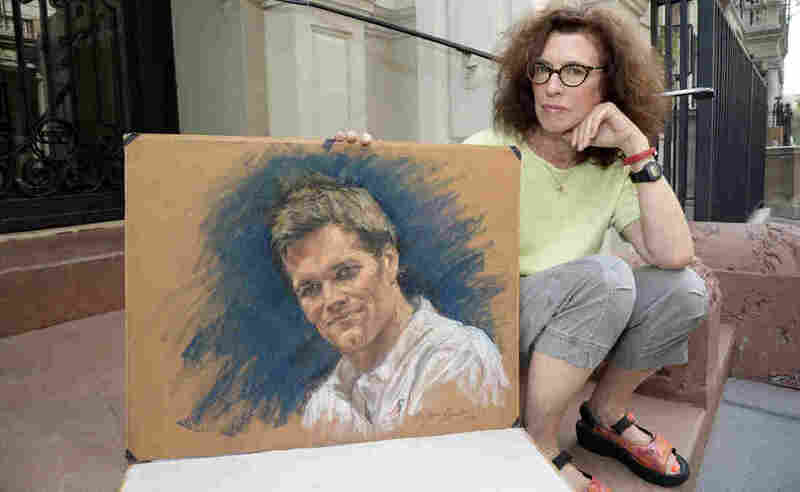 In another development, Jane Rosenberg, the courtroom sketch artist whose vision of Brady at an earlier appearance in Manhattan Federal Court sparked a flood of interest and commentary, issued a new sketch of the quarterback Monday. The earlier sketched sparked a slew of memes on Twitter. Both Brady and the New England Patriots have insisted that they didn't tamper with the inflation levels of footballs used in the AFC title game. In May, the NFL suspended the quarterback and levied a $1 million fine on his team, which also lost several draft picks. From Boston's member station WBUR, criminal law professor Robert Blecker writes today about the Patriots' "false appearance of guilt" in the case. Like others, Blecker notes that Brady's punishment was doled out after the NFL-sponsored Wells report found "it is more probable than not that Tom Brady was at least generally aware of the inappropriate activities." "No eyewitnesses, and no real proof," writes Blecker, who also says he isn't a Patriots fan. "No matter. The league would manufacture it, and suspend the quarterback for being 'generally aware' of something that most likely never happened."